Prior to your big day, practice walking down the aisle. Be sure that this is done where the wedding will take place so the floor can be tested along with the footwear. 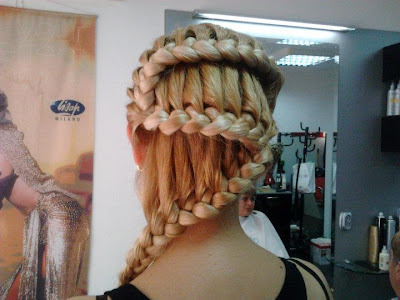 Your overall flow will be far smoother for your big day. To save money, choose a date that is not when most people typically get married. The wedding season runs from May until September. These are the times when wedding venues are most expensive. If you really want your wedding during this season, book as far in advance as possible for a great deal. Internet bridal shops have wedding dresses for bargain basement prices, but make sure to order well in advance so that you can get your dress altered before the big day. However, you should figure in the cost of alterations when calculating your savings. Include this additional cost when you plan for your budget. Try using the property of a loved one for the wedding venue. For example, a large backyard could be the perfect setting, and you will save a lot of money this way. You could pay for a cleaning service to come through before and after the wedding and make that the only cost. Ethnic catering can help add spice to your wedding. Steak and chicken can get boring after a while. Variety should be incorporated into your wedding dinner to make it a memorable experience.